There is no doubt that kids love jumping castles. Not surprising really when one considers how much fun children can have jumping on a bed or a trampoline! By providing jumping castle hire services, Jolly Jumps combines the excitement of the trampoline and the joy of make-believe all rolled up into one colourful, fun and safe environment. Bouncy castles, or jumpers, are the perfect way to combine fun and healthy activity, keeping children entertained and busy at any party or event. With a variety of colours, shapes and themes, bounce houses offer kids of all ages an opportunity to expend their energy by participating in aerobic activity. Kid’s birthday parties are filled a great deal of excitement, particularly for the children, and often some apprehension and stress for the parents. 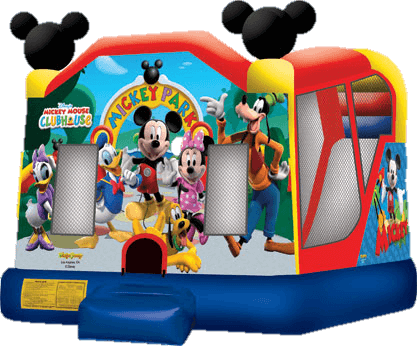 Successful kid’s birthday parties do require forward planning, and for parents who are concerned about how to keep kids busy for the duration of a party, the experience of jumping castle party hire specialists Jolly Jumps is that kid’s jumping castles, slides and combos offer a fantastic solution. Read more about jumping castle hire in Brisbane. Read more about jumping castle hire on the Gold Coast.